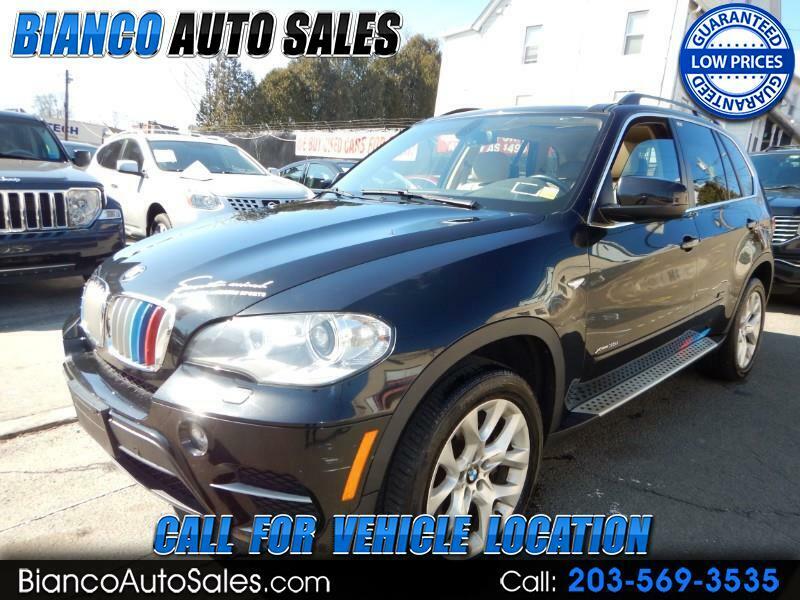 Look at this 2013 BMW X5 3.5I with Navigation backup camera panoramic DVD TV"s sun roof nice tires and looks and runs great with only 64K and what a great deal. A real must see here. Give us a call at 203-569-3535 and speak to Ed and he will go over all the details of the vehicle and go over are great finance options for Good None or Challenged credit if you should be in need of this service. This is a real clean vehicle and a one of a kind and when you book your appointment to come see and drive this nice truck you will definitely agree. This car also qualifies for a 2 or 3 year extended warranty if you should choose to purchase it. This will not last long so give us a call fast.